Every company and ever business has clients and customers but not all have loyal ones. It’s not easy to acquire customers who will keep on patronizing your products and services. If you are lucky and you happen to have loyal customers, you might want to give something back to show them how much you appreciate their loyalty. 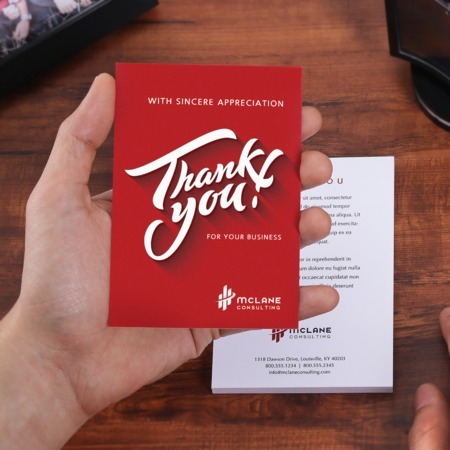 Make your customers and clients feel appreciated with flat thank you card prints. Show your gratitude with simple messages or short phrases of thanks. Add some photos on your flat cards to add more impact. Choose sizes from 3.5” x 5” to 5” x 7”. Print them with matching envelope sizes.